The Lilly Library is currently home to a growing collection of over 16,000 miniature books. This makes us one of the foremost collectors in the United States. A miniature book, by definition, must be three inches or less in height and width. Miniature books in the U.S. date back to 1690 and were primarily religious texts or children’s stories in their earliest forms. Today, the genre has morphed into a much more artistic endeavor, exploring different methods of illustration, typeface, folding, pop-ups, etc. A popular artist, author, and printer of the 20th and early 21st centuries that may be familiar to microbibliophiles is Lloyd L. Neilson, more famously known as Juniper Von Phitzer. Juniper Von Phitzer is a penname created by Neilson inspired by his three cats—Juniper, Von, And Phitzer. His cats are also the namesake for his private publishing house, Juniper Von Phitzer Press. With this in mind, it shouldn’t be surprising to discover that at least 10 of his 89 miniature books are about cats. Fortunately, the Lilly Library has recently completed the Juniper Von Phitzer Press cat collection! For those interested in learning more about Juniper, Von, and Phitzer, Cats in Charge reveals the three personalities via poetic form. Similarly, San Francisco Cats tells the stories of more unique cats who make their home in the city where Juniper Von Phitzer Press resides. 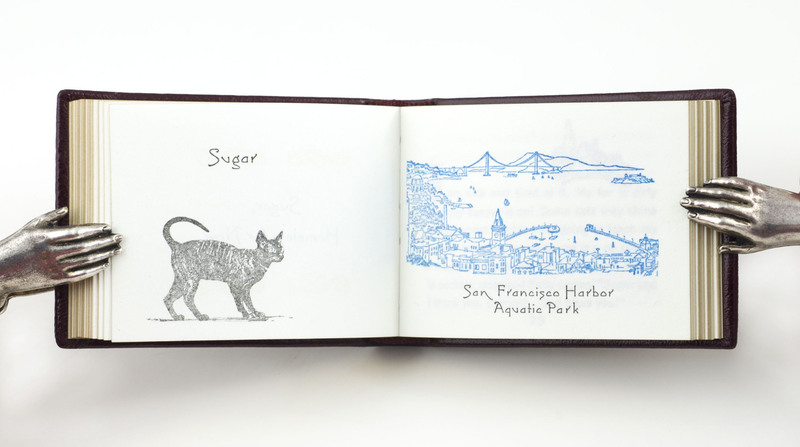 For more visually interesting mini books, Visions of Cats is an impressive work of art. 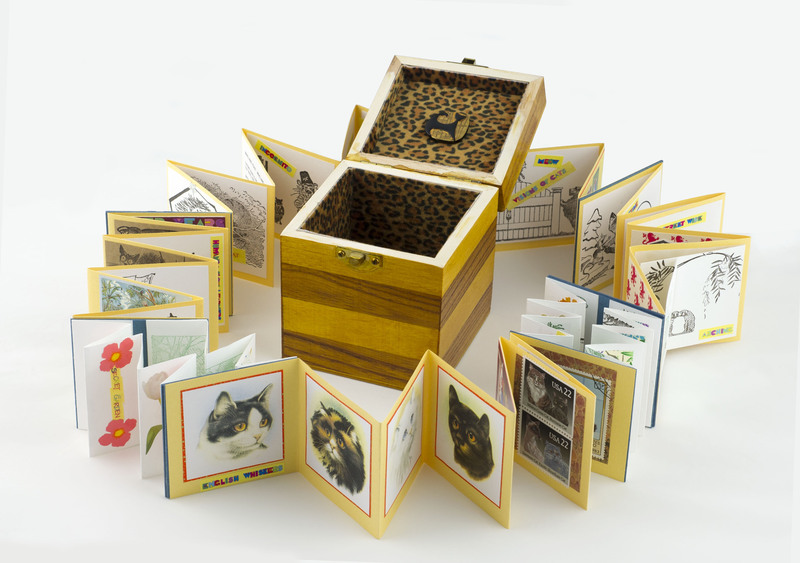 It is an accordion fold that, when unfolded, is more than seven feet of cat illustrations, facsimiles, poetry, and more, all inside a decorative wooden chest with a faux fur interior. Another accordion fold, Pas de Chat, features mounted illustrations of dancing cats amidst a graceful background. See below for a complete listing of Juniper Von Phitzer’s miniature cats in the Lilly Library collection. 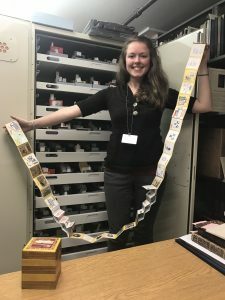 Special Collections Cataloger Katie Tyring demonstrates how one of these miniature treasures unfolds. Bradbury, Robert C. Twentieth Century United States Miniature Books: With Bibliographic Descriptions of each Book Arranged by Publisher. The Microbibliophile, 2000. Bradbury, Robert C. Antique United States Miniature Books, 1690-1900: Principally from the Collection of the American Antiquarian Society and the Lilly Library, Indiana University. The Microbibliophile, 2001. Great job Katie! Very interesting to read about. Thanks. Great talent and unique collection.